- The project thumbnail will be created tomorrow with the 6 members: Kirika, Miria, Sayuri, Iori, Azusa, and Kirino. - Character profiles will be created slowly as I cast people. - This is a anime song cover group that will be covering anime songs from Love Live in Japanese and English. Auditions will be held in two categories: Japanese and English. This is a cover group named Kokoa6Cupid/K6C. We will also need other roles such as mixer and advertisers so if you want to be one of those, send a pm to my profile! Iori Higashi is Azusa's childhood friend. I imagine Iori's voice to sound like Sailor Saturn or Azusa Nakano's voice. Iori might have a single of Self-Control or Wild Stars. Sing a song of your choice from Love Live. Azusa is Iori's childhood friend. I imagine her voice to sound mature. Azusa might have a solo of Garasu no Hanazono or Yume no Tobira. Kirino has a soothing and high-pitch voice. 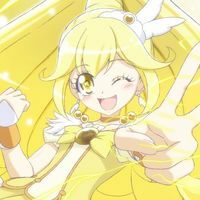 Kirika Himawari is Kirino Himawari's step-sister. I imagine her voice to sound soothing and mature, I need her with a bit of russian accent since she was half-russian and half-japanese. Kirika may have a solo of Snow Halation. Miria Pikapika is Kirino's best friend. I imagine Miria's voice to be of a child-sounding voice and an upbeat and happy one. Sayuri Akakaze is a classmate of Iori's. I imagine Sayuri's voice to sound medium-high pitch and can go a bit mature sometimes. Sayuri may have a solo of Bokura no KIMI to no LIFE or Aishiteru Banzai.